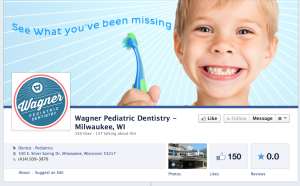 Visit Facebook.com/wagnerpediatricdentistry to learn all about Dr CJ Wagner and his new practice, Wagner Pediatric Dentistry in Whitefish Bay on Silver Spring. Dr. Wagner is a Milwaukee Pediatric Dentist who trained at Northwestern / Children’s Memorial Hospital in Chicago. He is a Diplomate of the American Board of Pediatric Dentistry, the highest certification given to someone in his specialty. Dr. CJ specializes in children’s dentistry.